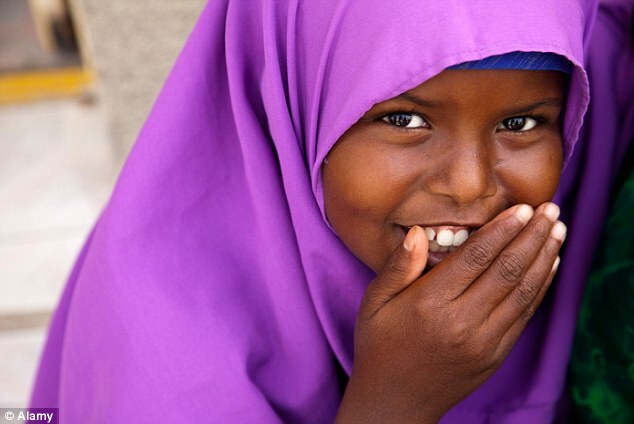 Alemtsahye Gebrekidan was 10 when her childhood came to an abrupt end. ‘I was playing outside and my mum called me inside to the house,’ she remembers of the day her world changed forever. ‘She said “you’re going to marry”. I was surprised and I cried but I didn’t say anything to them [her parents].’ Her wedding, to a boy of 16, took place just two months later. Shocking though it might seem, her experience is by no means unique. 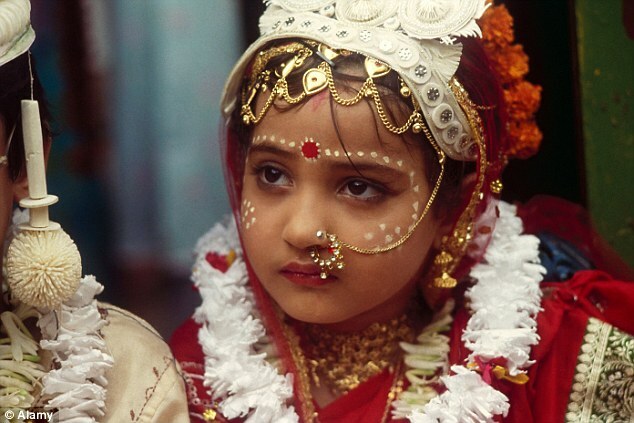 According to World Health Organisation figures, 14.2 million girls under the age of 15 are forced into marriage each year. 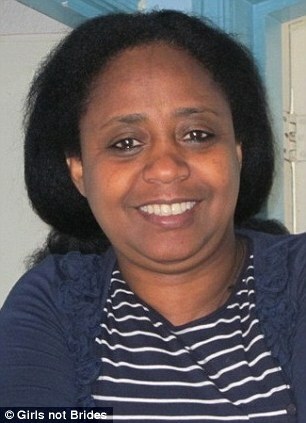 Most come from India, the Middle East, and like Alemtsahye herself, from sub-Saharan Africa – Niger, Chad, the Central African Republic and Ethiopia among them. Worse, many also die in childbirth or from pregnancy-related complications – the leading cause of death for girls aged between 15 and 19 years old in developing countries, according to UN figures. ‘Child marriage is an appalling violation of human rights and robs girls of their education, health and long-term prospects,’ comments Babatunde Osotimehin, executive director of UNFPA. It’s a view with which Alemtsahye agrees. Now 38 and living in London, she says she still feels angry with her parents at times and says her life was ‘ruined’ by her early marriage. Before the subject of marriage was raised, Alemtsahye remembers a happy childhood in Ethiopia’s northern Tigris province. One in nine are married before the age of 15. Girls younger than 15 are five times more likely to die in childbirth than women in their 20s. 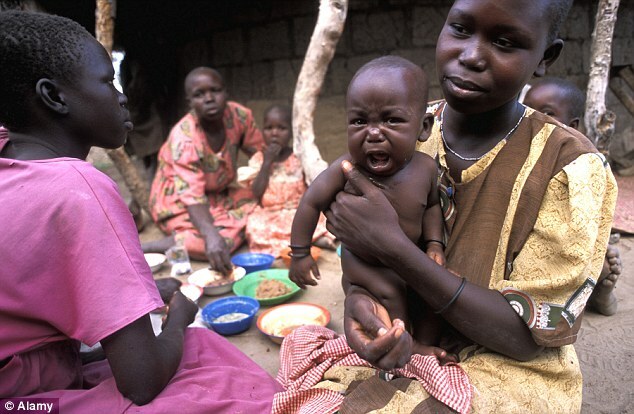 Pregnancy is the leading cause of death worldwide for girls ages 15 to 19. 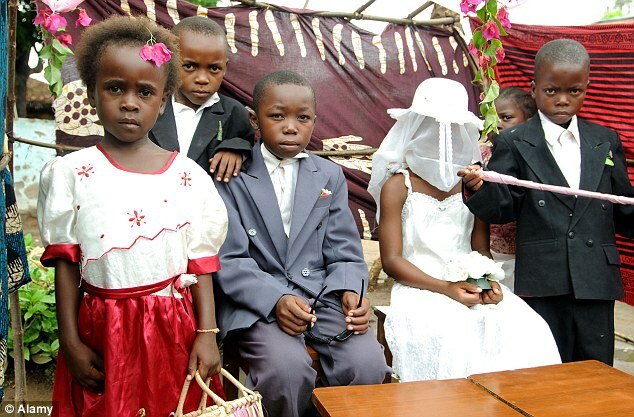 Child brides face a higher risk of contracting HIV because they often marry an older man with more sexual experience. Girls aged between 15 and 19 are two to six times more likely to contract HIV than boys of the same age in sub-Saharan Africa. All that ended when it was decided she would marry a boy, who until the day of their wedding, she had never met. As Alemtsahye’s story reveals, girls aren’t the only victims of forced marriages, although as Jacqui Hunt, London Director of campaigning charity Equality Now makes clear, their experience is often far more traumatic. ‘Boys do get married young and that is an issue that needs to be addressed,’ she explains. 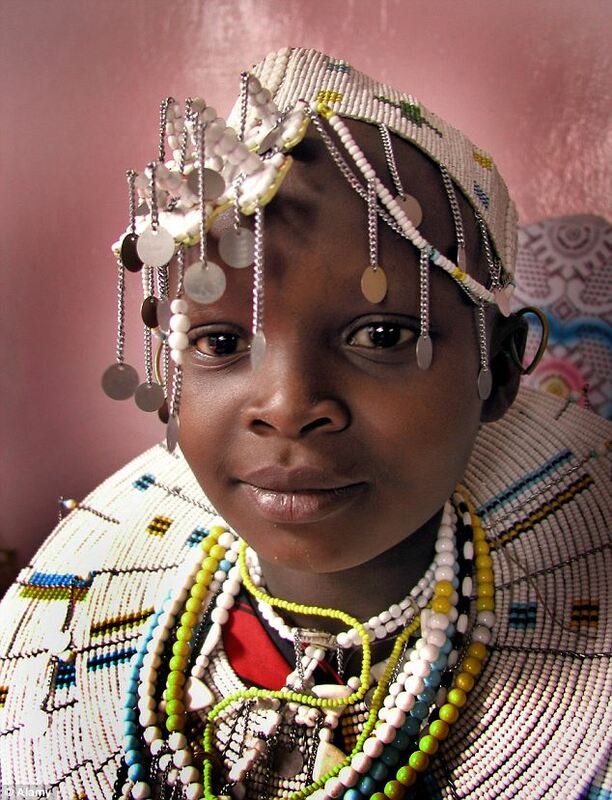 ‘But the majority of child marriages involve girls. While Alemtsahye was, at least, given a husband closer to her own age, the wedding meant leaving home, leaving school and beginning life as a traditional Ethiopian wife. ‘I was collecting water, wood and cooking for my husband and the days were like that,’ she remembers. By the time she was 13, Alemtsahye, although still a child herself, had a baby son, Tefsalen, now 25, to care for as well. She remembers the pregnancy and birth as a traumatic time, made worse by the fact that her immature body couldn’t cope with the physical demands of carrying a baby. But if pregnancy was difficult, motherhood was even tougher and made worse by the fact that in 1989, Ethiopia was in the throes of a vicious civil war. 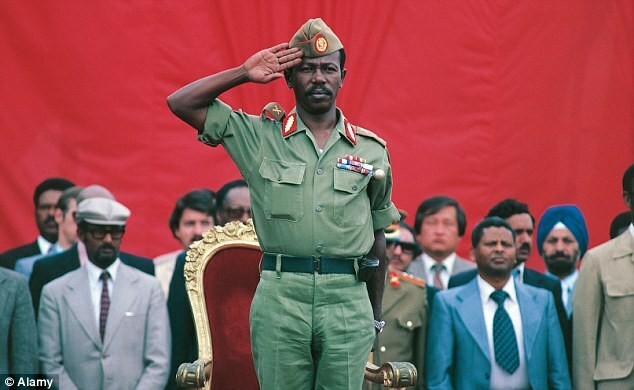 The conflict, which raged intermittently from 1974 until 1991, eventually left more than 1.4 million dead, among them, Alemtsahye’s young husband who was just 19 when he was killed fighting with rebel forces to overthrow Ethiopia’s barbarous Marxist dictator, Mengistu Haile Mariam. ‘After the baby was born, there was a very bad war, and my husband, they took him, and he was 19 years old and he was dead in the war,’ she says, her English slightly halting as she remembers. And although she hadn’t wanted to marry her husband, Alemtsahye says she still feels sad when she thinks of his short life and how little enjoyment he had. Left alone with only her son, Alemtsahye was left vulnerable and soon fell into the hands of traffickers, tempted by promises of a better life abroad. Leaving her son with her mother, she travelled to Egypt where she worked as an unpaid domestic servant. But just two months after arriving, more traffickers appeared – this time promising her a new life in the UK. Still just 16-years-old, the former child bride was now an asylum seeker, initially placed with a foster family because of her youth but swiftly moved to a tiny flat of her own. She went back to school and learned English and now helps to run a charity called Girls Not Brides which aims to help former child brides from Ethiopia. Her son, now 25, lives in the Ethiopian capital, Addis Ababa, and grew up with his grandparents, only seeing his mother during her occasional visits home. Did she ever worry that her parents might try to marry him off at a young age as well? If they had, says Alemtsahye, she would have found a way to stop the wedding. Although Alemtsahye’s story has a happy ending, she’s aware that the problem of child marriage shows no signs of going away and, if WHO estimates prove correct, could become increasingly widespread over the next five years. And for the parents of those girls, her message is stronger still. ‘Why do you damage his or her life?’ she asks. On the night of the12th September 1974, a group of Marxist army officers, collectively named the Derg, staged a coup d’état and arrested Emperor Haille Selassie and most of his government. Although Selassie himself wouldn’t live to see it, it would be 17 years before Ethiopia saw peace again. The Derg, headed by Menghistu Haille Mariam, began their rule by unleashing a campaign of ‘white terror’ on political opponents, the aim to wipe out any sort of resistance. Among those to die was the former emperor, reportedly smothered while in custody, although this has never been confirmed. What is certain is that Selassie, and hundreds of his countrymen, were slaughtered by Menghistu’s men, setting the scene for a vicious civil war that would ultimately claim the lives of more than 1.4 million people. With Ethiopians of all political hues preparing for war, 1977 brought a respite, ironically enough, in the shape of a Somali invasion. Although the Derg was able to see off the Somali attack, it was forced to retreat and regroup, while in remote regions such as Tigray, rebel groups began to form. The 1980s saw the Derg continue their Marxist revolution, with industry nationalised and huge Stalinist ‘land resettlement’ programmes begun. And worse was to come. When drought struck in the mid-80’s, families, many of whom had been forced to leave their smallholdings behind, were unprepared. 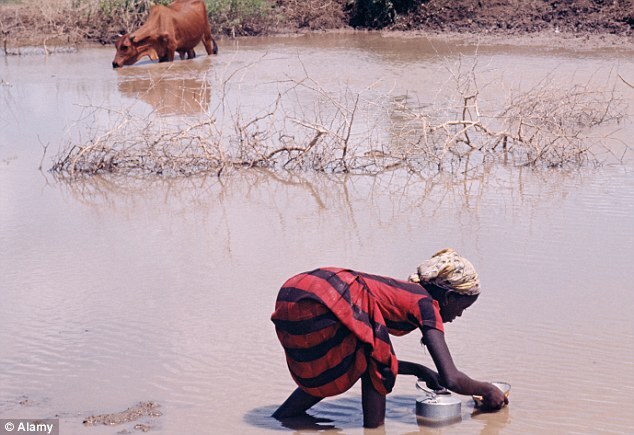 Ethiopia’s farmers were unable to cope and in the famine that followed, an estimated seven million people lost their lives. Ethiopians had had enough and the late 80s saw a series of rebellions, many focused in and around Tigray and former province Eritrea. Menghistu and the Derg responded with brutal cruelty, using military force and withholding aid from rebel-held areas in a bid to keep control. 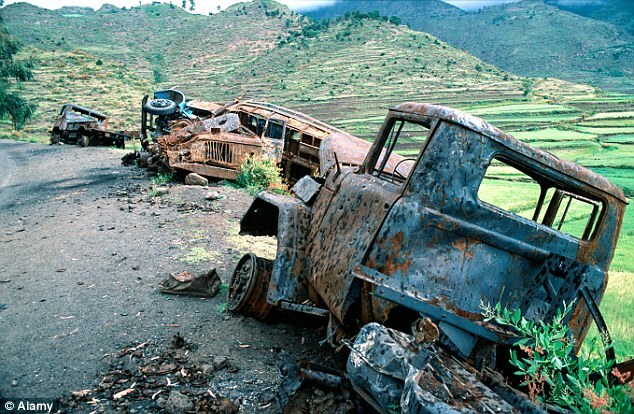 By 1991, the Derg were being pushed back by the rebels of the Ethiopian People’s Revolutionary Democratic Front, and by the end of the year, the fighting reached Addis Ababa. Menghistu fled and was granted asylum in Zimbabwe where he still lives today. For the war-weary Ethiopians, his departure meant peace at last. Posted on 21st January 2014 by newsafrica. This entry was posted in Africa, African Union, Central African Republic, Chad, Democracy, Ethiopia, Madagascar, Malawi, Mali, Mozambique, Somalia, South Sudan, Zambia, Zambia and tagged Addis Ababa, Babatunde Osotimehin, Central African Republic, Child marriage, Ethiopia, London, Middle East, Tigris. Bookmark the permalink.